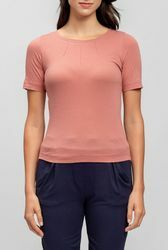 A lovely color, and a love tee. 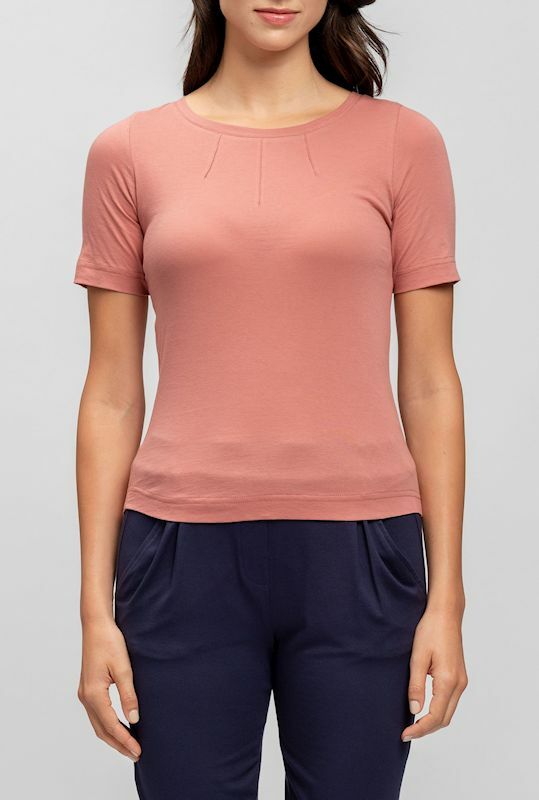 Anni Kuan uses a delicious cotton jersey from Japan, and then pairs it with a simple short sleeve, round neckline shape, with the perfect pin tuck detailing at the neckline. The "fan" detailing adds just the right touch. Particularly gorgeous with her navy capris, and her nylon floral raincoat as a topper!